This letter is very friendly and was much appreciated. It incorporates a high degree of creativity. 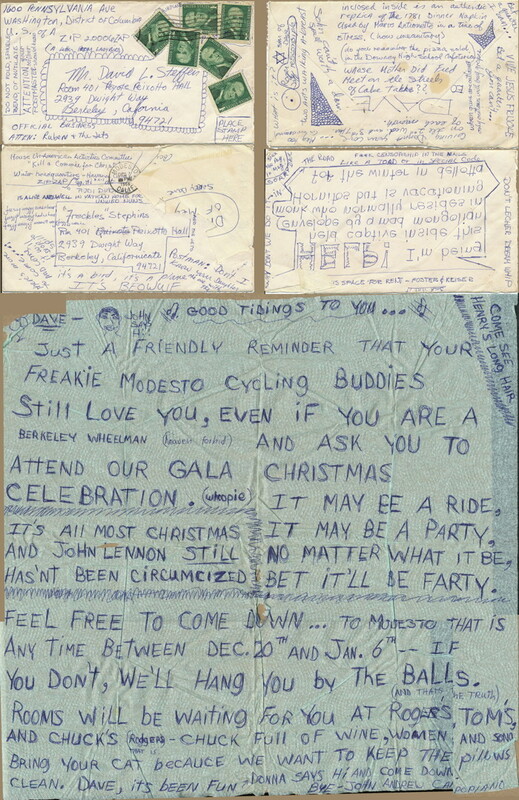 The letter itself (on the third row) is written on a napkin, but much of the contents were on the envelope in which the letter was sent. To that end, when the first envelope (on the top row) was covered, a second envelope (on the second row) was generated with a custom cutout so that the stamps (creatively selected and arranged) from the first, inner envelope could be seen. I am impressed that the postal service correctly delivered this letter, given how badly abused the envelope was.